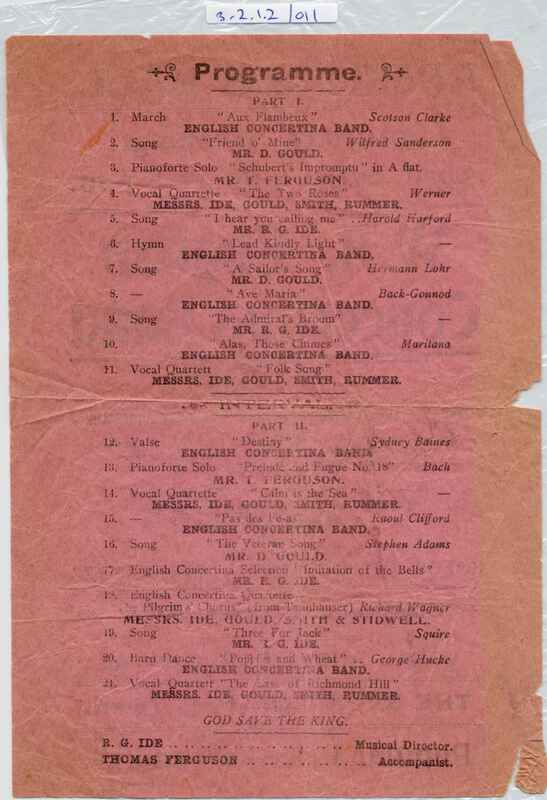 Full Description: Frail pink paper promo sheet for an appearance of the “WA (Western Australia) Concertina Band”, “The only one of its kind in Western Australia”. Dated April 28th 1918. 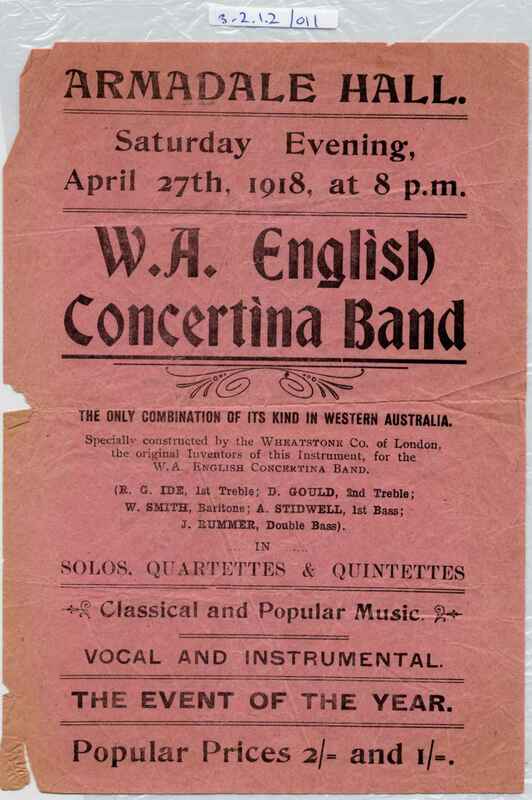 Five named players mentioned: 2 Trebles, Baritone, 1st Bass, Double Bass “specially constructed by the Wheatstone Company of London, the original inventors of this instrument, for the Western Australia Concertina Band”.